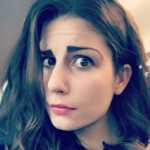 Lauren Duca is an award-winning and -losing freelance writer who is mostly just trying to get you to follow her on Twitter. Taylor Swift and Tom Hiddleston's Fake Relationship Is Over—So What Was the Point? Did Taylor Swift Kidnap Tom Hiddleston?